Looking for a fundraising idea for your non-profit animal rescue group that doesn’t involve holding an event? Or another layer of fundraising to an event that you’re already planning? How about a Lottery Raffle Fundraiser. A Lottery Raffle Fundraiser is pretty easy to plan. And if you can get volunteers or local business to donate the lottery tickets, it’s not a big expense for your group. All you need are some lottery tickets, maybe a wreath or something similar to attach them to, with sticky putty, the kind used to hold up posters without harming the walls. And tickets to sell to raffle off your lottery ticket decorated item. So put out your call for donations of lottery tickets. If all of your volunteers and supporters can donate even just two $1 scratch-off lottery tickets you’ll have a great lottery raffle fundraiser. Then attach your lottery tickets to your wreath or board. Just be careful not to mar or deface the tickets in any way while attaching them. Some states are very strict about tickets that appear to have been altered in any way. Print up some raffle tickets, for a chance to win the lottery ticket covered item, and start selling. Don’t forget to advertise your sale on all of your social media platforms. Social media is always great for free advertising for your fundraiser events or sales! Then start selling your tickets. Tickets can be sold for $1 each, or $5 for 6 raffle tickets. They should sell quickly and easily. Who wouldn’t want to win a whole slew of scratch-off lottery tickets that may net them a whole lot more than the dollar that it costs them to enter the raffle? 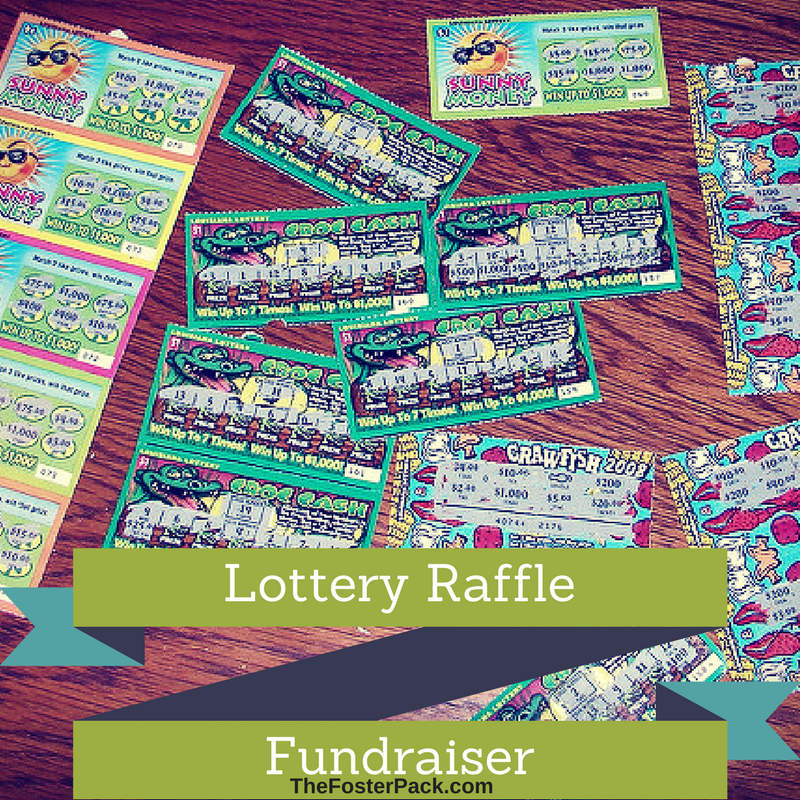 And remember, a Lottery Raffle Fundraiser is a great add on fundraiser for all of your fundraising events. The chance to win even more money than they spend is always a big draw for your supporters. And lottery tickets are much more fun than a 50/50 drawing. It’s really a good idea, thank you for sharing.